Beginning in 2014, we are working to preserve not only a record of the materials displayed in our exhibits but also the narrative and story that is built from our collections in each exhibit. With the help of the University Libraries’ Emerging Technologies Cluster, we have recreated the ‘feel’ of each exhibit in a digital storytelling platform modeled on the New York Times’ Snow Fall project. These sites present a record of each exhibit in a dynamic, media-rich format. Please note that these sites are optimized to run in Chrome, Firefox, and Safari. Internet Explorer and other browser users may encounter some difficulties. 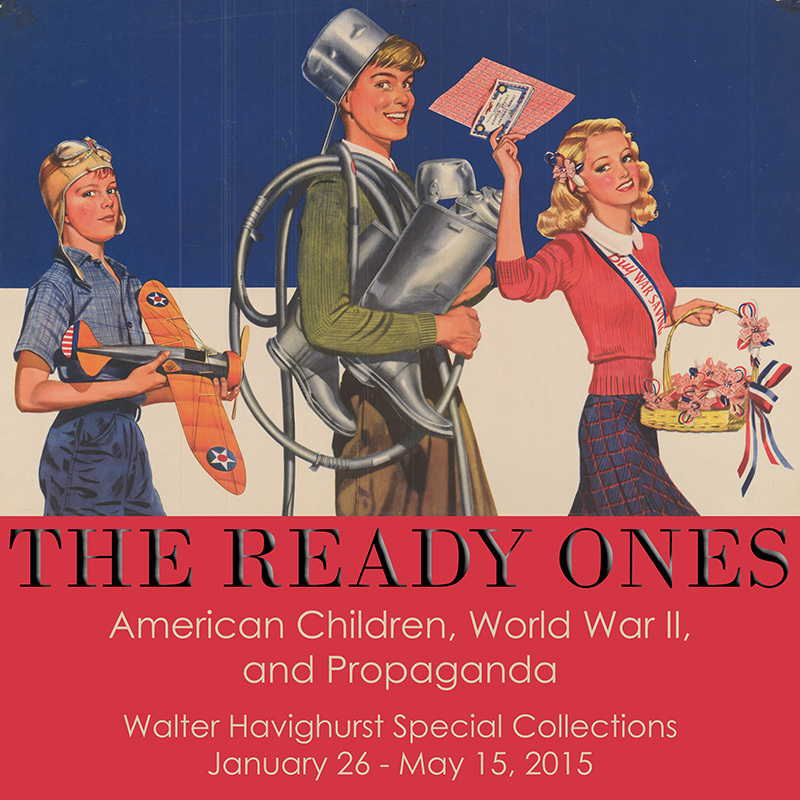 The Ready Ones: American Children, World War II, and Propaganda: Stories from people who were children during World War II and the objects in this exhibit animate the past and inform us of a time when war took over daily life. “Retrospect is a very interesting thing,” says Ruthie Kallnder. “At the time I don’t recall any of the information we got as being propaganda,” but the government tried to influence children to make “necessary” sacrifices. Propagandists made the war a battle between good and evil, democracy and fascism. They also asked children to share in the war effort. The exhibit runs January 26 – May 15, 2015, and was guest curated by Katie Wills, MA student. 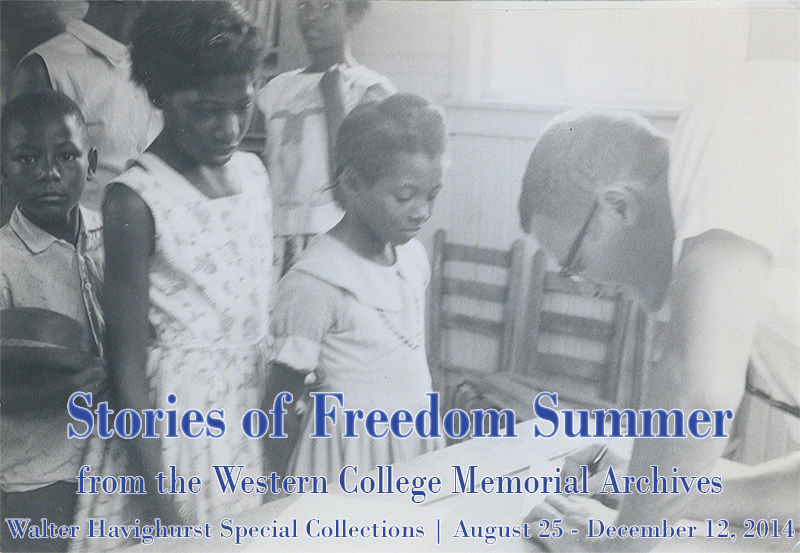 Stories of Freedom Summer: From the Western College Memorial Archives: When the administration of the Western College for Women, now a part of Miami University, opened its campus to civil rights activists in 1964, an estimated 700 young and idealistic college students from across the north arrived in Oxford, Ohio for voter registration training. The exhibit centered around the experiences of three volunteers and ran August 25 – December 12, 2014. 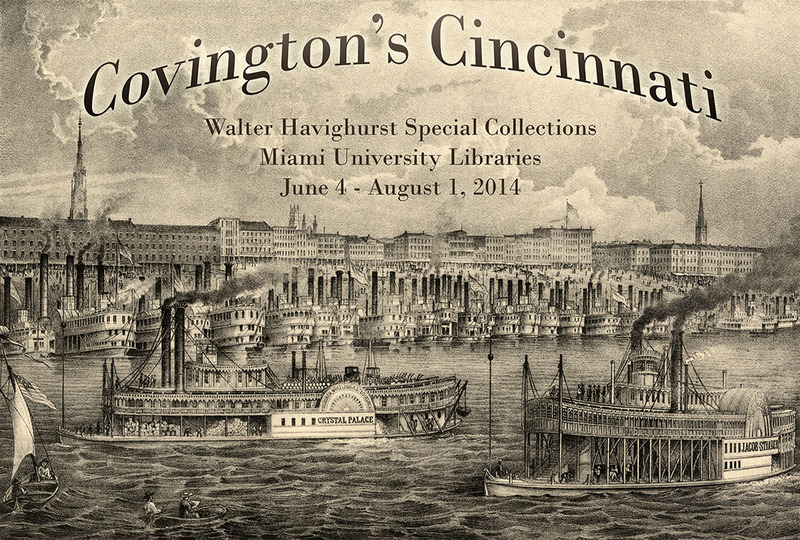 Covington’s Cincinnati: Samuel F. Covington was an Indiana native who built a successful career in the crowded Cincinnati insurance industry during the second half of the 1800’s. His experiences and those of his family typify the growing middle class that evolved in industrial America. The exhibit ran June 4 – August 1, 2014. Cradle of Coaches: A Legacy of Excellence: Miami University has a long and proud tradition of producing exceptional coaches. 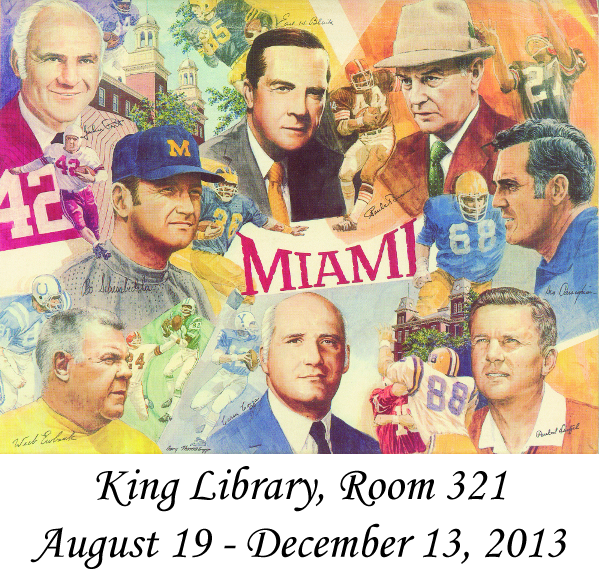 In 1959, Bob Kurz (Class of 1958) coined the term the ‘Cradle of Coaches’ in reference to the many star football coaches to have passed through Miami University. The exhibit ran August 19 – December 13, 2013, and was accompanied by a digital exhibit.